Spot scored 8.99 out of 10, beating Debenhams and Visa. 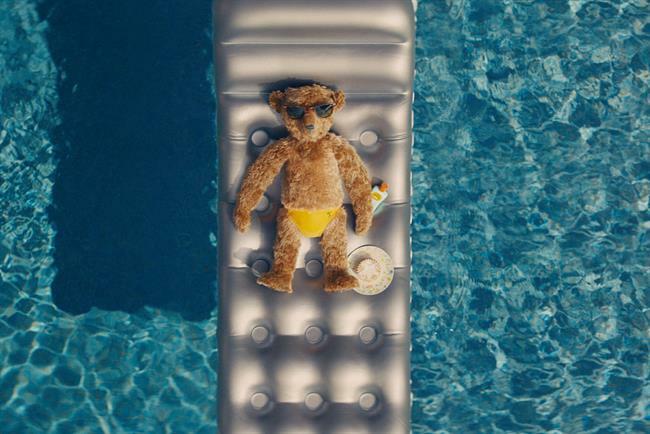 Heathrow’s Christmas ad, which features teddy bears that return home for the holidays, has emerged as the most engaging ad of this year, according to a study using face-reading technology. The spot, created by Havas London, follows Doris and Edward Bair, who return to the UK from Florida, where they have retired. The film attracted "four peaks of happiness" across gender and age groups, particularly around the opening scenes when the bears are in Florida, as well as the "kiss scene" when they land at the airport. The spot also attracted the highest proportion of positive comments (87%) and the fewest negative comments, showing this was a hit across every single demographic. According to a data by artificial intelligence tech company Realeyes, the film attracted an overall engagement score of 8.99 out of 10. 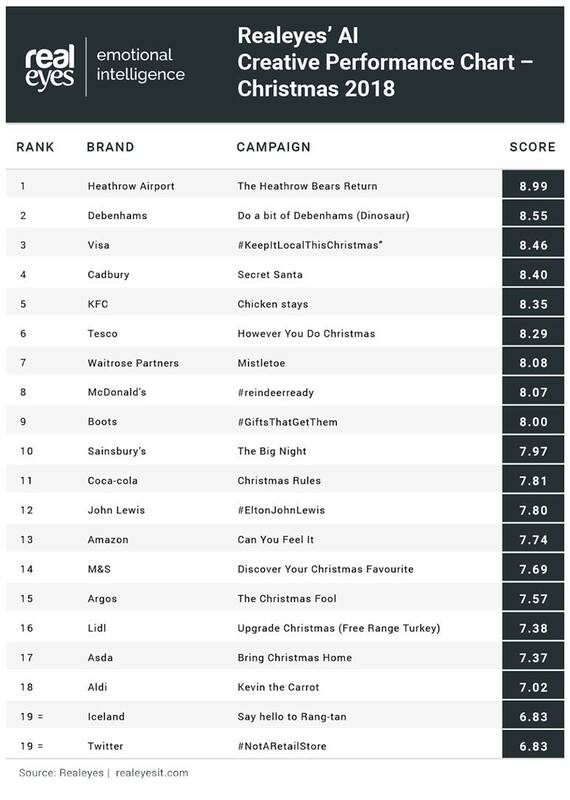 It was closely followed by Debenhams' Christmas spot (8.55). Visa was third with an overall score of 8.46, while Cadbury (8.40) and KFC (8.35) made up the rest of the top five. John Lewis’ Christmas ad featuring Elton John did not make it into the top 10 after achieving an overall score of 7.8, putting it in 12th place, ahead of Amazon, Marks & Spencer and Argos. Colin Pye, creative director at Realeyes, said: "Comparing the emotional engagement generated by this year’s crop of festive ads to last year’s, we can definitely see that overall there’s been a slight dip, enabling Heathrow Airport to fly past the major UK retailers with its heart-warming story. "The main reason why Heathrow grabbed the top spot is that it generated the most emotional engagement for viewers. Let’s face it, watching teddy bears sunbathing and FaceTiming each other – it’s hard to watch without a smile on your face." Realeyes tested 20 Christmas ads from this year on a sample of 200 consumers with its face-reading technology, which uses webcams to measure attention levels and emotional engagement. These scores were then fed into an algorithm to determine an overall score out of 10. The higher the score, the better the ad was at grabbing attention, eliciting strong emotional responses and stimulating positive sentiment in its audiences.